This is a book which you once begin; you can’t put it down until you finish it. Exactly what happened to me. I read it in one sitting; such was the storyline which kept me glued to my kindle till I had turned the last page. This is what one would expect from a thriller, isn’t it? The gripping saga of how power mixed well with fame can change your life, not to mention the lives of people around you. Power can come in varied forms, and it lies in the hand of the powerful how to hone and sustain it. But what if the power is not what one has control upon, one which cannot be preserved? What if it comes in the form of a supernatural power – the power of premonitions? What if one starts dreaming of doom day in and day out? Not one, not two, but twenty forewarning dreams every night. Imagine waking up every morning with a score of incidents one dreamt of, which are going to happen in the future. Picture a youngster sitting on a divan in a middle-class living room in Delhi’s Dilshad Garden apartment, watching the telecast of a natural calamity or a horrid terrorist attack, hundreds dead, the world gasping for breath; exactly the way you dreamt of a night before. The bewilderment, trauma accompanied with helplessness! This is a story of a middle-class happy family of four living in the suburbs of Delhi. The protagonist is a happy go lucky college girl, Sapna, who lives up to her name, and can see the future. The Vaid family is like any other service class family, where the couple tries to make ends meet and build their life brick by brick, whilst the children study hard to accomplish greater heights. A very loving and hard working husband, a very strong-willed and devoted wife, an earnest young son, and a blithe and cheerful daughter. What could ever go wrong? Well, fate has plans for us, which are not always predictable. They can be slaughtering and can turn our life into shambles. Precisely what happens with the Vaid family. Their life starts revolving around the supernatural their daughter possesses. Along with the family, their close friends feel the same agony. Ever since the premonitions proliferate at a rate of geometric progression, the life of the Vaid family starts spinning, moving at an immeasurable pace, forming new relationships, living in a world they had never dreamt of. Eventually, Sapna’s premonitions reach a stage where she loses control over her life, unable to find an iota of mental peace and complete deterioration of physical health. This one is a very well researched and meticulously written book. The author has kept in mind the reader at every nook and corner, and every twist and bend. I would definitely reread this one. As a reader, I would love to see Amit as a full-time author. There is a Booker prize winner in him, no exaggerations at all. This story, in particular, can be built as a blockbuster film script, one which will keep the viewers on the edge of their seats. I would rate the book 4.5 out of 5, a must-read. Amit Sharma’s first fiction book titled False Ceilings has been published by Lifi Publications in 2016. 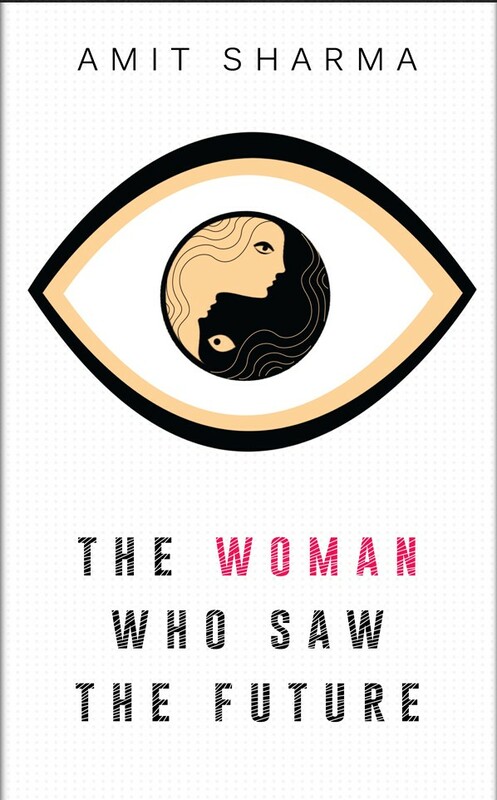 His second novel titled ‘The Woman Who Saw The Future‘ was published by Readomania in Nov 2017. I have read Amit’s debut book, False Ceilings and enjoyed it. Have been seeing great reviews for his new book. Will check it out. Thanks for the recommendation. Sounds like an intriguing novel. Very well written review!! !